The world of designer knockoffs is a hairy one; brands like Zara, H&M, and ASOS practically built their business off of producing lower-cost, higher-pace versions of the designs that walk down the runways each season. But rare is the occasion when there's a knockoff so good that it is practically indistinguishable from the original. Such is the case with the shoes we just found. 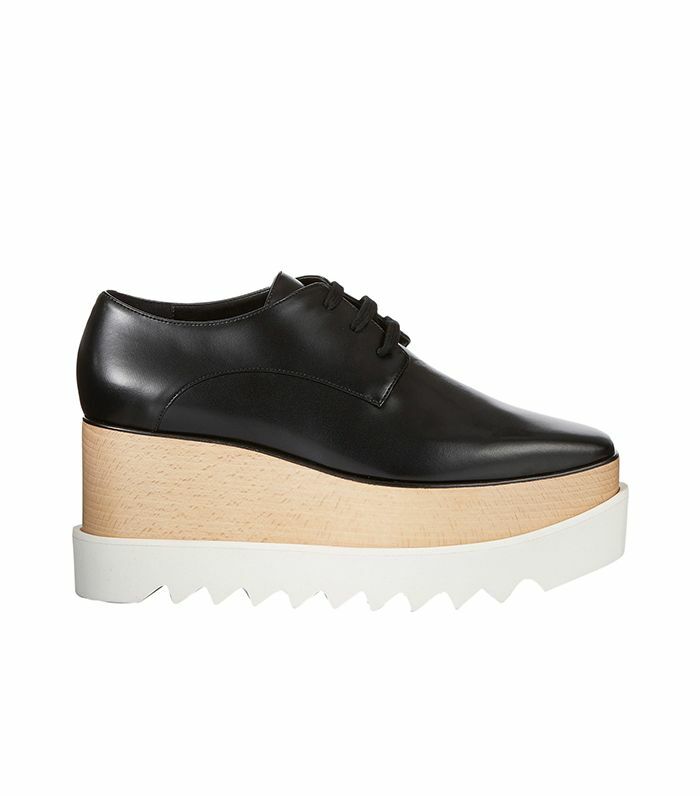 Jeffrey Campbell's Berliner platform oxfords are an obvious replica of the Stella McCartney Britt platform oxfords we've been seeing literally everywhere. The big difference: Where McCartney's original version come in at a hefty $995 per pair, Campbell's are available for just $178. Are we saying knockoffs are better than the originals? Absolutely not. Are we saying they're more affordable? Yes. Keep scrolling to shop both versions of the It-shoe now! Which version of the platforms do YOU like best? Tell us in the comments below!